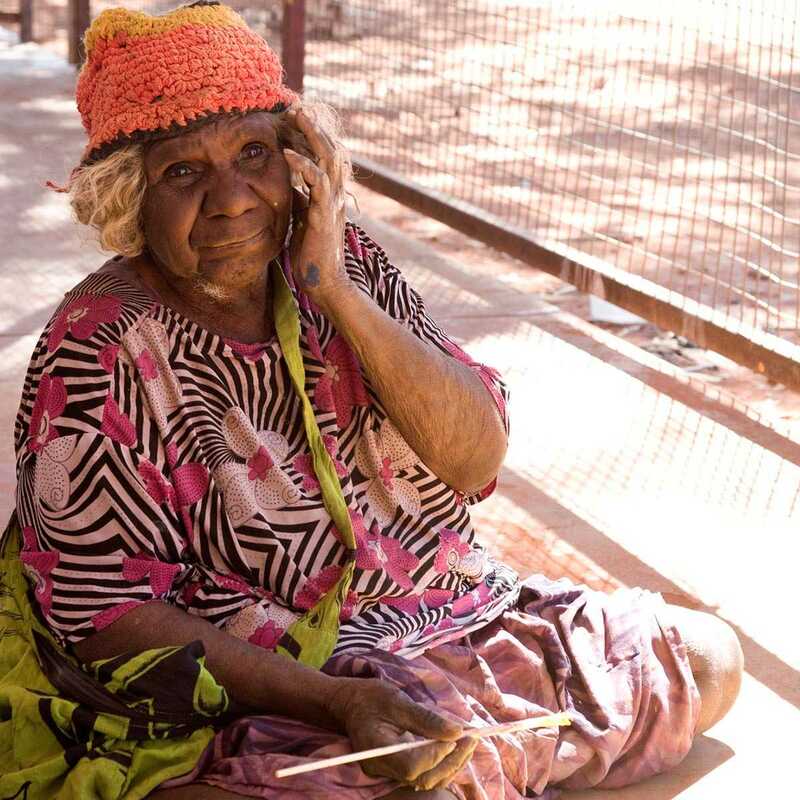 Nyarapayi Giles – Senior Artist and respected Elder of the Tjukurla Community. Tjarlirli Art Centre represents the artists of Tjukurla in the Ngannyatjarra lands of Western Australia and Kaltukatjara in the Northern Territory. The artwork has strong links with the Papunya Tula movement as families left Kintore and Kiwirrkurra to return to their homelands in the mid 1980s. the art centre has a strong mandate to provide training and skills development for its members and opportunities for Indigenous artists to travel and participate in Industry events of all kinds.